From April 30 to May 3, people in many U.S. cities held rallies, marches and other events in solidarity with the rebellious youth of Baltimore protesting police brutality. On May 1, immigrants, including many from Latin America, organized and called demonstrations for immigrant and workers’ rights, but they also stood in solidarity with the Black Lives Matter movement and its latest manifestation in Baltimore. Workers World reports on some of these activities here. In the tenth such march since hundreds of thousands of mostly immigrants brought International Workers’ Day back to New York City with a bang in 2006, the May 1 Coalition for Worker and Immigrant Rights first gathered for a rally in Union Square Park and then marched to the federal buildings downtown. This year the thousands of people in the march were swelled by an influx of people even younger than the immigrant workers — youth, Brown, Black and white, who had come out in response to a call by organizers to show solidarity with the rebellious youth of Baltimore and demand justice for Freddie Grey. Police did their worst, setting up metal fences to keep the popular demonstration separate from people along the long route of march downtown. This could not stop many of the bystanders from raising their fists and their voices to show they were with the marchers. The rally, which began with traditional drumming and dance by Danza Aztec, focused on workers directly affected by the main points of unity. A group of youth carrying flags from many countries, with a banner that read “Workers United for Dignity and Justice,” led the march. They also carried signs and wore T-shirts that read “All Mothers Are Workers,” “Don’t criminalize the Workers” and “Fight for 15, Union Yes.” Midway through the march was an amazing performance by Mujeres en Resistencia Cultural Peace in front of the courthouse across from the Hall of InJustice in downtown San Diego. Police brutality and terror are on everyone’s mind. Marchers shouted “Hands Up! Don’t Shoot!” as the police rode bicycles and walked on the side trying to keep marchers on the path. People were literally grabbing from distributors’ hands the Workers World flyer headlined “Baltimore Youth Rebel.” Families in San Diego have not forgotten the many lives stolen by the police and border patrol. We must continue to fight for dignity and justice. We will win. Madison’s May Day rally began at Brittingham Park along West Washington Avenue, followed by a march to the Wisconsin Capitol. 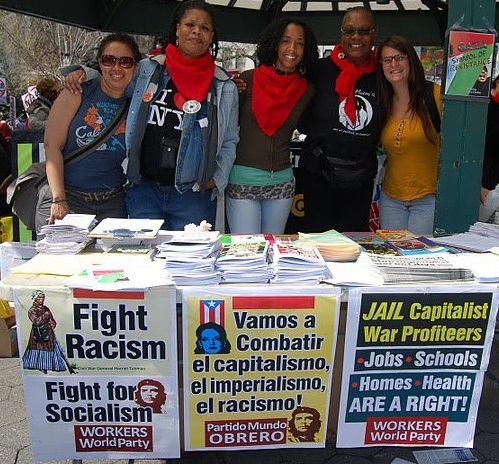 Organizations such as the Young, Gifted and Black Coalition, the International Workers of the World and Union de Trabajadores Inmigrantes sponsored the events. Protesters united a variety of demands, including justice for Freddie Grey, Tony Robinson, Dontre Hamilton and all those killed and tortured by cops and vigilantes. 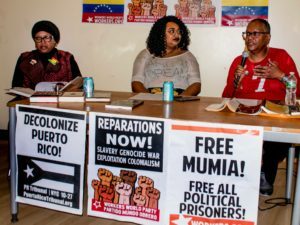 Demands included an end to raids and deportations; an end to austerity, including union busting in Wisconsin; and an end to the medical neglect and torture of political prisoner Mumia Abu-Jamal. A diverse, multinational crowd of protesters marched to Milwaukee’s Red Arrow Park on April 30 to commemorate the life of Dontre Hamilton, a 31-year-old African-American man. One year ago on that day, Dontre was shot 14 times and killed at the park by white Milwaukee cop Christopher Manney. Led by Dontre’s family, those participating demanded Manney be brought up on federal charges. In December 2014, Milwaukee County District Attorney John Chisholm announced no criminal charges would be filed against Manney. Manney had been fired in November 2014 due to mass, militant protests led by the Coalition For Justice in Milwaukee and people’s solidarity from around the world. That decision was upheld by the Fire and Police Commission in March. The struggle for justice for Dontre continues. Maria Hamilton, Dontre’s mother and a leader of Mothers For Justice United, is helping to organize a Million Moms March May 9 in Washington, D.C. This event is being led by mothers who have lost loved ones due to the scourge of police and vigilante terror against primarily Black and Brown communities. For more information: facebook.com/justicefordontre; facebook.com/mothers forjusticeunited or #JusticeForDontre. People gathered at Albany, N.Y., police headquarters in the Arbor Hill neighborhood on May 2, both to protest the police Taser death of Donald “Dontay” Ivy on April 2 and to stand in solidarity with the Baltimore protesters demanding justice for Freddie Grey. Ivy, who suffered from paranoid schizophrenia and also heart problems, was taking a late night walk when he was confronted and attacked by Albany police. Ivy died after being Tasered an unknown number of times. The rally was called by Capital Area Against Mass Incarceration. Many held signs saying “Black Lives Matter” with “#Shutitdown” at the bottom. Defending Baltimore protesters who liberated needed supplies from stores, fiery speakers named the seizure of Indigenous lands by U.S. colonizers as the real looting, pointing out that included the ground Syracuse University sat on. The crowd shouted out the names of Black people killed by U.S. police, then marched downtown to the county jail and to the “Jerry Rescue” monument. This statue celebrates an 1851 public rescue when a Syracuse anti-slavery, abolitionist crowd stormed the city jail and freed William “Jerry” Henry, who had been arrested by U.S. marshals under the Fugitive Slave Act. Latino and Latina immigrant farmworkers held their first-ever May Day march in upstate New York at Marks Dairy Farms in Lowville on May 1. The dairy workers were protesting the violent beating and firing of Francisco, a worker who objected to being ordered to work on his only day off. They demanded dignity and respect, safe working conditions, and an end to wage theft and physical and verbal violence. People gathered to support them, some driving hundreds of miles from Brooklyn, Staten Island, Rochester, Syracuse, Marietta, Canton and elsewhere in New York. The action was called by the May 1st Agricultural Workers Committee, the Workers’ Center of Central New York and the Worker Justice Center of New York. May 1st organizer José Canas spoke of May Day solidarity across borders: “As we march in Lowville, workers in my country of El Salvador are marching for their rights — our families are marching for our rights and theirs.” He also emphasized how dairy workers’ labor creates mega-profits for transnational businesses. New York state is fourth in U.S. production of milk and first in yogurt. Lowville is home to the plant that is the largest maker of Kraft Philadelphia cream cheese in the U.S.
Chanting “El pueblo unido jamás será vencido” (“The people united will never be defeated”), the crowd marched on dirt roads through the farm, past giant milking barns as huge tanker trucks thundered by. New York farmworkers live in isolation, fearful of deportation raids, subject to unsafe working conditions and brutal work schedules. Some live in conditions of virtual indentured servitude. Farmworkers are specifically excluded from some basic U.S. worker rights like the right to a day off, the right to be paid overtime and the right to form a union. Nearly 200 militant demonstrators seized the streets of Rochester, N.Y., on May 1 in solidarity with the protests in Baltimore over the murder of Freddie Grey and against police brutality locally. Despite a large police presence and without a permit, the demonstrators took over entire streets, beginning in the poor and working-class neighborhoods and winding their way through downtown. They frequently slowed or stopped traffic as they proceeded to single out and denounce a who’s who of local symbols of oppression, including the Public Safety building. The demonstration was organized by BLACK (Building Leadership and Community Knowledge), an organization of students at the University of Rochester. They were joined by a number of organizations including the People’s Power Assembly. On May 3, traffic at the heavily traveled intersection in the Kensington-Bailey area of Buffalo crawled to a halt as protesters came out in solidarity with the people in Baltimore to demand justice for Freddie Grey and all victims of racist police violence. The large rally was called by the Buffalo Anti-Racism Coalition. Recognizing the potential for an uprising in response to police brutality in Philadelphia like that in Baltimore, the Philly Racial, Economic And Legal (REAL) Justice Coalition called a “Philadelphia Is Baltimore Solidarity Rally” for April 30. Over 2,000 people responded in one of the largest demonstrations against the epidemic of police murders of Black and Brown youth held here so far. This is the first major street event that the Black youth-led coalition initiated since it formed in December 2014 after the massive protests calling for justice for Michael Brown and Eric Garner. REAL Justice has held twice-a-month town hall gatherings since then, each drawing between 100 to 400 people. The rally outside City Hall was followed by several hours of marching and confrontations with police on bicycles and horses as it zigzagged through Center City, effectively shutting down major streets during rush-hour traffic. A march against traffic on Market Street was greeted with honking horns and fists raised by motorists. The march was fully in support of the rebellion of the youth of Baltimore and the stand the community there took in response to the violent murder of Freddie Grey by the police. Like Baltimore, Philadelphia has experienced hundreds of murders of Black and Brown youth by police who have never been brought to justice. It has high rates of poverty, gentrification, unemployment, redlining and underfunded schools. The boarded-up row houses in Freddie Grey’s neighborhood could be any community in Philadelphia. The REAL Justice Coalition also strongly opposed the sending of Pennsylvania state troopers or Philadelphia police to Baltimore. The event was also used to mobilize people to travel to Baltimore for a rally there on May 2. A highlight of the march was a stop outside the federal prison on Arch Street near 7th Street. Protesters stood on lamp poles waving banners as the crowd chanted “Prisons are concentration camps for the poor.” Prisoners inside responded with pumped fists and flashing lights to signal their solidarity. Philadelphia’s 8th annual May 1st march, organized by the Mayday USA Education Committee, began with a “15Now” rally in front of McDonald’s at 40th and Walnut streets and ended in Clark Park with speakers and a picnic. The Philly Coalition for REAL Justice raised the political level of the event by giving marchers signs with photos of Black workers who have been killed by the police above the slogan “Black Lives Matter to Labor.” Temple University Professor Anthony Monteiro drew loud applause when he spoke on labor’s need to support the Black Lives Matter movement and for unions to end their support for the Fraternal Order of Police. 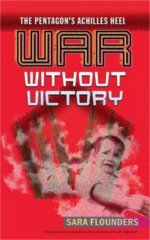 Brenda Ryan, Heather Cottin, Minnie Bruce Pratt, Joe Piette, Gloria Verdieu, Workers World Milwaukee Bureau, Chris Fry, Betsey Piette, Ellie Dorritie and Gene Clancy contributed to these reports.